I read this article and found it very interesting, thought it might be something for you. The article is called As Delhi Air Quality Plunged, 30 Alerts That Were Never Issued and is located at https://archive.indiaspend.com/cover-story/as-delhi-air-quality-plunged-30-alerts-that-were-never-issued-87401. Vehicles ply in reduced visibility in south Delhi as smog enveloped the city with a spike in particulate pollution. 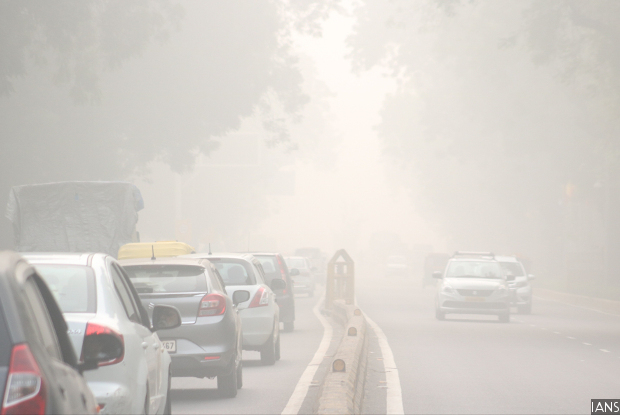 Over the last one month, residents of the national capital territory of Delhi should have received an alert every day, warning them that air quality readings were breaching acceptable levels. An emergency air-quality warning system created in 2016 for the national capital territory of Delhi has failed its sole purpose: To warn citizens of hazardous levels of air pollution. Over eight days to October 16, 2017, as Delhi’s air quality worsened, reaching 10-12 times above safe limits set by the World Health Organization (WHO), the government ignored its own plan, which also included a clean-up of the air. Officials should have, among other things, enforced pollution controls on thermal power plants, sprinkled water on roads to curb dust and curbed traffic jams. Over the last one month, Delhi residents should have received an alert every day, warning them that air quality index (AQI) readings were breaching danger levels. Since October 8, 2017, air-quality levels crossed “poor” eight times, “very poor to severe” 21 times and “emergency” once, as they have for 48 hours to November 8, 2017, according to data from the government’s own alert system, the Graded Response Action Plan (GRAP). After Delhi witnessed its worst smog in 17 years in 2016, the CPCB, under directions from the Supreme Court, submitted the GRAP to address the air-pollution crisis gripping the national capital region, particularly in winter. While the ministry of environment, forests and climate change cleared the GRAP on January 12, 2017, the plan received approval from the nodal Environment Pollution Control Authority on October 18, 2017–10 months later. 2. Alert the task force for shutting down of schools and halt all outdoor activities for children. An AQI reading of over 500 is considered to an “emergency” and involves a shutdown of most outdoor activities. These measures are not new to authorities–they were recommended by a Indian Institute of Kanpur (IIT)-Kanpur report submitted to the Delhi government in January 2016, as IndiaSpend reported on November 10, 2016. Air quality in Delhi began to dip from “moderate” to “poor” in the first week of October 2017 and proceeded to worsen. Apart from curbing traffic, enforcing pollution standards on power plants and sprinkling water to curb dust, the government also should have made citizens aware of pollution levels using social media and mobile apps. With the start of Diwali, air quality considerably worsened. From October 17 to November 6, 2017, the region recorded “very poor” air quality, 12-15 times above WHO limits, as we said. On Diwali day, October 20, 2017, CPCB monitors in the national capital region recorded “severe” levels of pollution with an AQI reading of 403–16 times above WHO limits, suggesting poor implementation of the SC ban on firecrackers. Over the last three weeks, government authorities, as per their own plan, should have also issued health advisory alerts for vulnerable populations or young children and senior citizens, banned use of diesel-run generators, raised parking fees, increased public transport services, and banned the use of firewood and coal. To be successful, most components of the GRAP require concerted and coordinated efforts from various agencies and bodies spread across the national capital region (NCR) and neighbouring states.